This is the sort of book that you can dip into for inspiration and do a quick science session with household materials... a goldmine of quick and easy experiments for little ones. Children are hard-wired to do experiments, to handle things with their own hands, to get a feel for how things work and why they work. This book is a wonderful resource for children who want to create their own experiments and find out more about how everything around them works. Every aspect of KS2 science is covered including light, sound and friction. All the necessary objects are easily come by and in many cases, children will have something they can use or play with (or eat!) afterwards... A truly exceptional book. 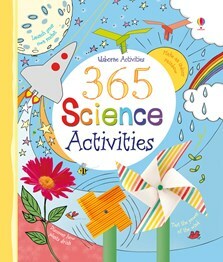 Hits the spot with easy and exciting experiments which help to explain many of the things children wonder about. The practical work consolidates understanding.